If you rejoiced the unusually warm winter this year, you're in for a bitter surprise at the farmer's market this spring: Many maple syrup producers aren't going to tap their trees this year. The Eagle Tribune reports from The Merrimack Valley in New England, where maple syrup producers Paul Boulanger and Kathy Gallagher, like many others, are about to confront a sour reality stemming from the mild winter we've all enjoyed. They won't be producing maple syrup this year. 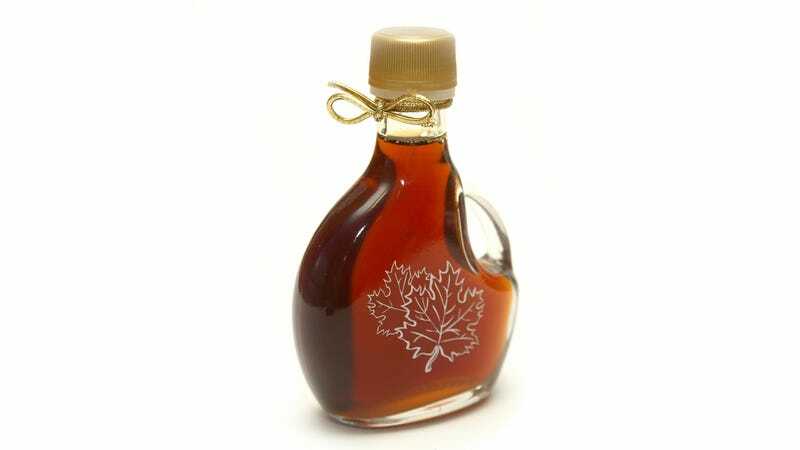 Maple syrup is made by boiling excess water from the sap of Sugar Maple trees famously found in New Hampshire and Vermont. Unfortunately, the trees rely on intense day-to-night cold snaps to get their juices flowing. In a good year, there are 17 "flow days" during March, Gallagher said. Typically, the sap from a sugar maple tree - that's the most common source of maple syrup - starts the tapping season with a 4 percent sugar content, Boulanger said. By the end of the month, the sugar level drops to around 1.8 percent, he said.